"When a Man Loves a Woman” is perhaps one of the greatest soul ballads ever written. A true classic, the song is a staple of American popular music. Percy Sledge emerged on the pop charts in the 1960s as the balladeer who sang this song with such conviction, passion and longing. He was one of many Atlantic Records artists who helped transform the airwaves with timeless soul songs. His legacy is central to the development of R&B as a musical genre. “When a Man Loves a Woman” was a smash hit and a landmark record for Percy Sledge. Sledge went on to produce many more albums and singles for Atlantic Records throughout the 1960s. In 2005, he was inducted into the Rock and Roll Hall of Fame. He continued to perform on stages all across the globe until his passing. 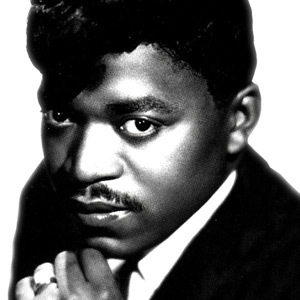 Percy Sledge died on April 14, 2015, in Baton Rouge, Louisiana. He was 74 years old. Atlantic Records was built on classic songs and the artists who could bring those songs to life. Percy Sledge’s contributions to this legacy will be forever cherished. Click here to sign up for more news and exclusive offers from your favorite Atlantic Records artists, including Percy Sledge and many more! New Music Friday: Wale, gnash, Rockie Fresh, and more!